Farmer, MLA (1950-1953), MLA (1954-1957). Born at Carberry on 1 August 1889, son of Lancelot Robinson Burch (1861-1951) and Jane Ann McRae (1861-1956), he was educated at Brucefield School. On 11 December 1912, he married Agnes Mabel Mann (1885-1932), daughter of R. D. Mann, of Gainsboro, Saskatchewan. They had four children: Cecil Howard Burch (1913-? ), Robert Delmer Burch (1915-? ), Agnes Eva Burch, and Margaret Adella Burch. His second marriage, on 3 October 1934, was to Lavina Jane Campbell (?-? ), daughter of W. J. Campbell of Harding. They had two children: Barrie C. Burch and William H. Burch. 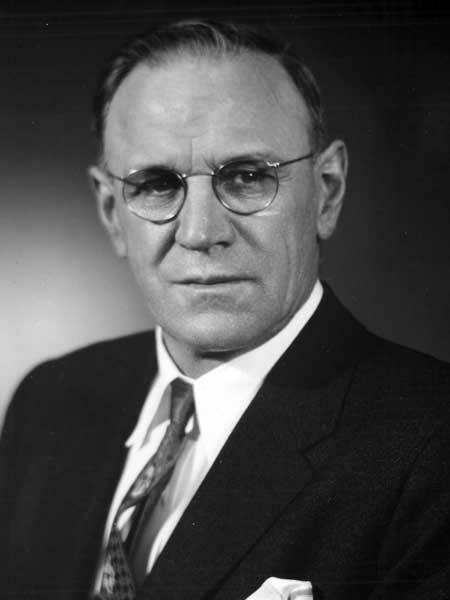 He was first elected to the Manitoba Legislature at the 1949 general election and was re-elected in 1953 but defeated in 1958. He died on 4 March 1974 and was buried in the Carberry Cemetery. Obituary, Winnipeg Free Press, 6 March 1974, page 35.